I didn’t intent to but I have aged this bottle for at least two years. I bought this at State Line Liquors to review and then took by hiatus. I’m not sure what to expect so we’ll have to see how this turns out. The bier pours a clear amber with cinnamon ruby hues and a quickly diminishing off white head. The nose is fantastic and extremely inviting with rich caramel malt aromas with an underlining sweetness, not sure if that’s alcohol or not. We are starting this review at 45 degrees. Wow, what a great first sip; a caramel malt sweetness coats the tongue up front, with little to no carbonation it is very easy drinking with no hesitation at the top of the swallow. The finish is fantastic with sweet caramel malts and that signature touch of sourness on the final aftertaste. I have to get a fresher one of these to compare. This has been a great experience but I do believe that I aged this just a little too long. Then again it is very impressive that this bier taste this good after 2 years. Another thing pointing to over ageing of this bier is the good amount of sediment. This is not just the typical lees it is light color flakey specks floating to the bottom of the glass. We are now at 48 degrees. The experience is getting better and better as the bier warms. The malt flavors are much richer now and there is a noticeable warming sensation. This bier feels heavier that 6.8%. We are now at 52 degrees. The touch of sourness is now more pronounced. The complexity of this bier is really showing it’s self as the beer warms and opens up; just a fantastic experience. I normally would let the beer warm up more than this but I can’t stop drinking this one. Well, all good things must come to an end and so to this experience. What a great beer. With each sip as the bier warms it introduces new flavors. The rich caramel malts and velvety smooth mouthfeel along with a touch of sourness was extremely impressive. 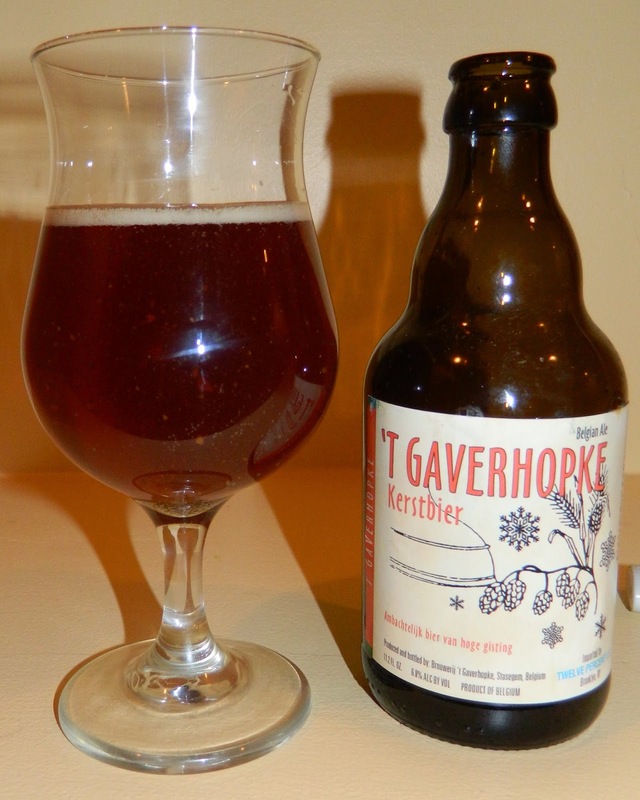 A+ | Another impressive bier from Brouwerij 't Gaverhopke with a velvety smooth mouthfeel and rich caramel malt flavors finishing in that Gaverhopke signature touch of sourness and warming sweet alcohol that leaves you completely satisfied and relaxed.